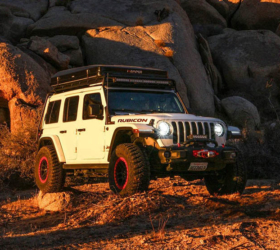 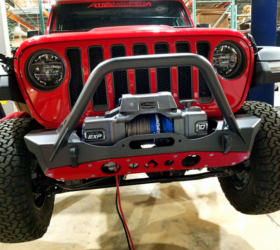 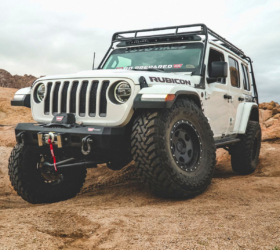 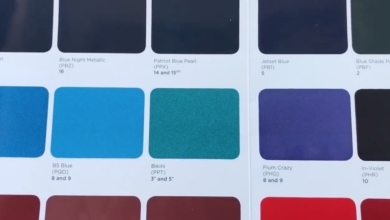 The 2018 Wrangler’s new roof options have been the subject of intense interest on our forums, and to date the camouflaged JL prototypes that have been spied testing have all been wearing what appears to be a modified Freedom hardtop. 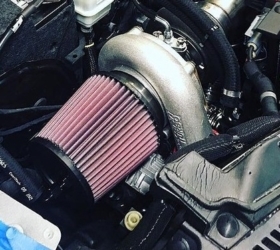 Until now, that is. 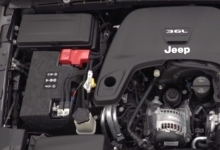 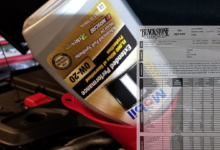 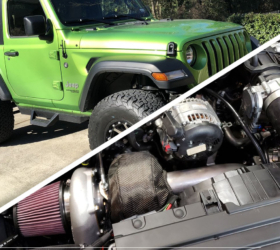 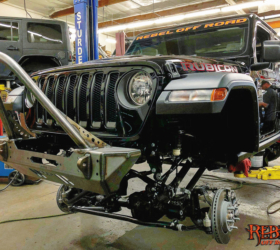 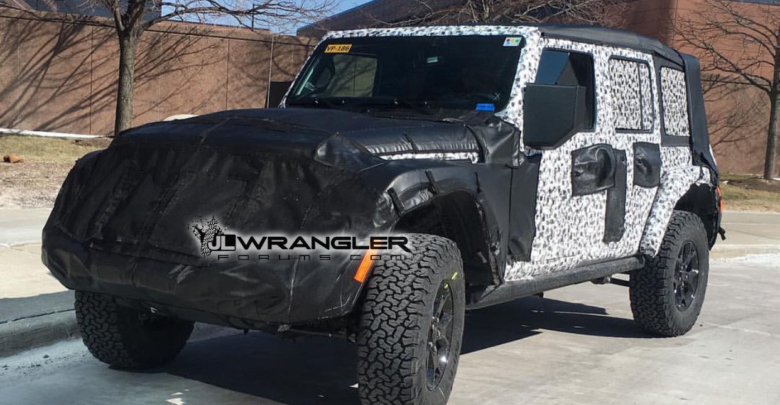 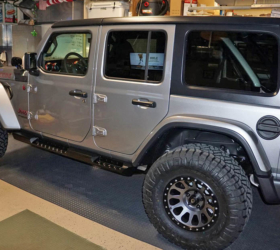 We have a new photo showing a covered-up soft top 2018 Jeep Wrangler Unlimited. 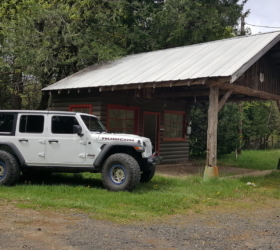 The top, although covered, suggests a soft surface underneath and clearly lacks the drip rail and hard structure above the pillars and along the edge of the roof. 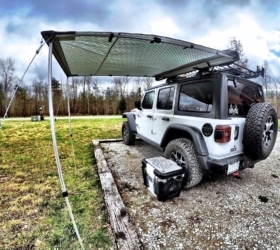 The rearmost window is also attached to a seemingly vinyl/fabric cover, much like the current soft top. 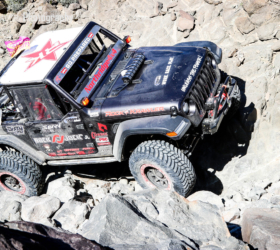 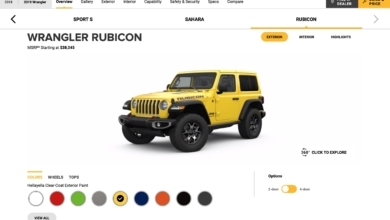 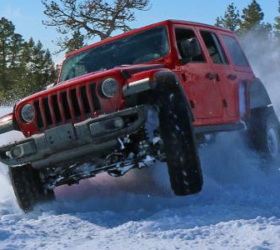 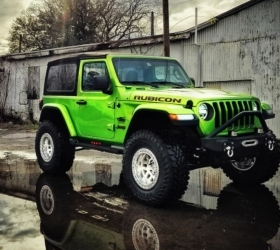 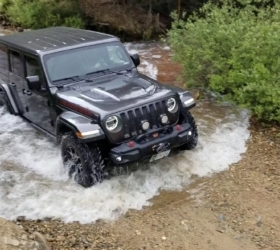 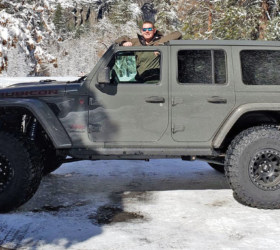 Judging by the rock rails, new wheels design and larger KO2 tires which were spied in earlier photos, this is a Rubicon. 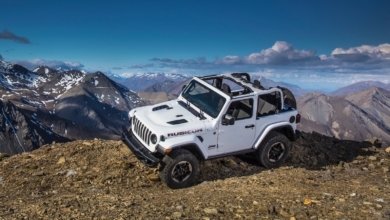 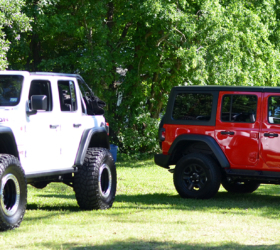 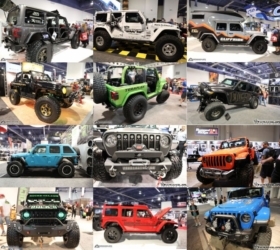 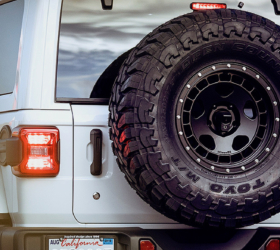 Whichever model it is, we’re on a mission to catch a closer glimpse of the JL’s new roof options soon so stay tuned! 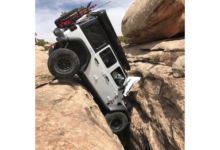 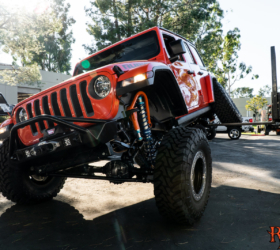 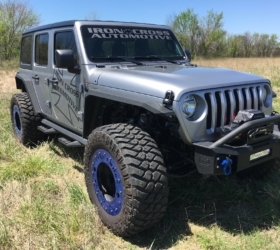 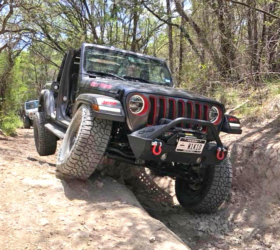 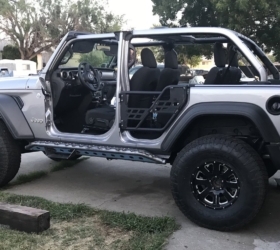 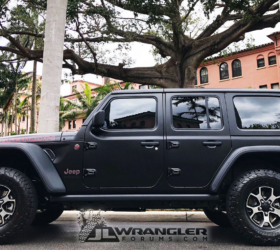 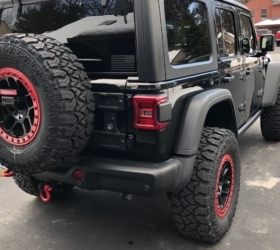 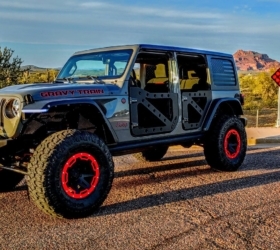 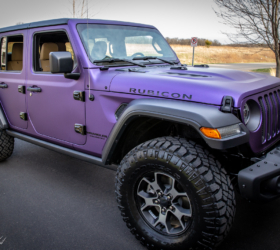 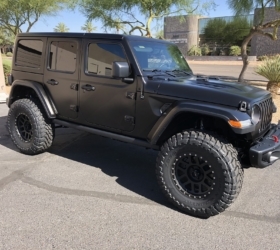 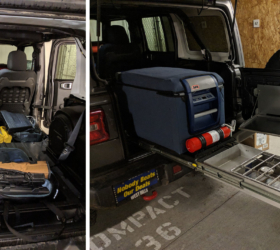 Take a closer look at this 2018 Wrangler Unlimited Soft Top in our forums.